The quadrennial race for President of the United States is a reality show, but with real consequences for the world. Whenever a President of the United States has served two consecutive terms, and can't run again, I look forward to the next presidential election cycle. Both the Republicans and the Democrats have to come up with a nominee for their respective parties. One of these two individuals will become the next President. Of course, from time to time there is a viable third party candidate, but none have ever succeeded. The energy level is these elections is palpable. Candidates of each party are motivated and work to win primary votes. The first primary occurs in February, with the final elections held in November. 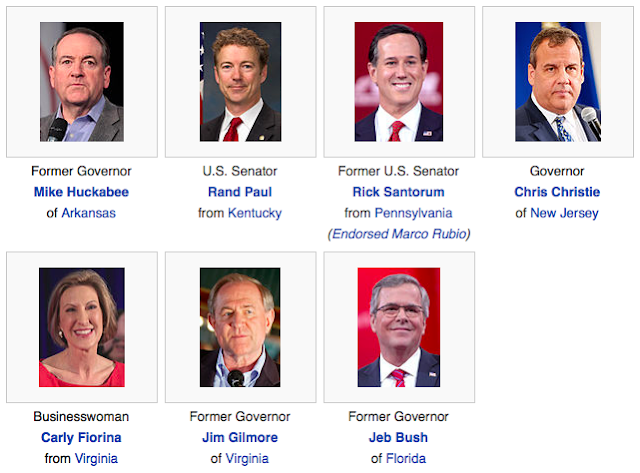 At the beginning of this election cycle, there were over 15 Republican candidates at the beginning. Over a period of time and primaries, the number has continued to drop. Candidates who don't perform well drop out. This is exactly like a reality television show. Television watchers have been inundated in the past several years with reality TV shows. Survivor, a CBS show, was one of the first. Each week viewers tuned in - and still do - to watch contestants struggle to stay on the island until the there is only one survivor left. Each week a candidate gets voted off the island. Another popular show is ABC's The Bachelor. In this show, a single man meets several women in the hope of finding true love. The women (or men if the roles are switched) participate in one-on-one dates, group dates, and activities. Women vying for the final proposal must receive a rose to stay until the next episode. Those who do not receive roses leave. There are always contestants who return for the reunion special no one remembers. The same is true for the Republican candidates in this election cycle. 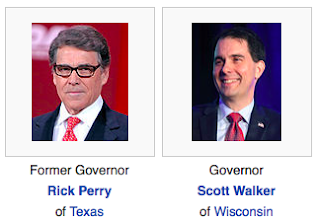 Note: while the Democrat party has fewer candidates, but just as much drama, I have elected to focus on the Republican primary process for this post. Why is reality TV so popular? Beyond the fact it is relatively inexpensive to produce, the main reason is that views like to watch what is going on with other people. This is exactly like real life. If our neighbor is experiencing domestic problems, we will likely keep our eyes focused in that direction. Once we start to identify with certain characters, we invest time to see if they will succeed to the end. At the time of this writing, these candidates have withdrawn during the primary process. Contests have always fascinated people. Only the medium has changed from the village square to the electronic rectangle of the TV, computer, or mobile device screens. Each political party holds a convention every four years. The official purpose of the convention is to elect the candidate to represent the party. The unofficial reason, because the nominee is usually determined before the convention starts, is to generate enthusiasm and interest in the candidates. The conventions are usually televised, but few actually watch. Why? There is no conflict. We already know the outcome. If the parties really wanted people to tune in, both the Republicans and Democrats should have contentious conventions where the outcome is unknown at the start. All of the elements of high drama would be present: a raucous group of convention delegates, motivated candidates, mystery, and desire. As of this writing, these candidates remain for the Republican primaries.